IBM has added another string to Watson's artificial intelligence bow by acquiring the fast-growing startup AlchemyAPI. Terms of the deal were not immediately disclosed. The startup provides specialist software that is designed to collect and analyze data from a number of sources before presenting it in a way suitable for enterprises, website publishers and advertisers to easily understand. AlchemyAPI's software functions by bringing in data from a wide variety of different sources including posts from Twitter, news stories, images and text messages. This data is then sorted and presented in such a way that it allows customers to see the link between each bit of data without the increased workload that would usually be required. The company, which was founded in 2005, already has 40,000 developers building different tools that leverage its technology and IBM absorbing the company into its Watson portfolio gives it access to this valuable user base. 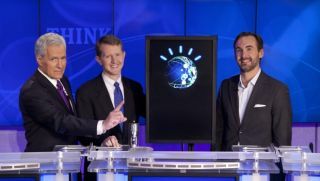 Big Blue is in the midst of investing some $1 billion (about £700 million, AU$1.1 billion) on Watson, which runs on IBM's Soft Layer cloud services, and it's all part of its plan to move away from its traditional hardware base. AlchemyAPI is IBM's second purchase in the artificial intelligence sector after it bought Cognea, a specialists in virtual assistant apps for smartphones, last year and we can expect artificial intelligence to become an even bigger part of IBM's repertoire as time goes by.